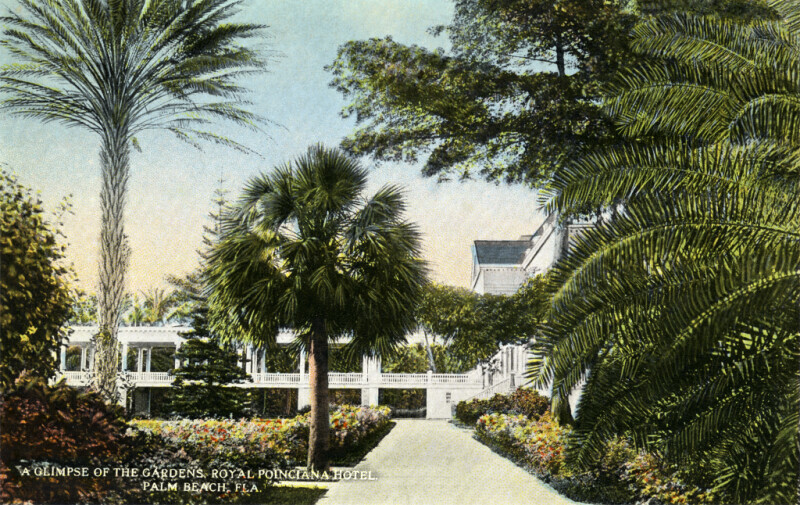 This section of the Royal Poinciana Hotel's gardens has palm trees, pine trees, and flowering plants growing in it. In the background, there is a two story colonnade, with white columns and railings. Paved paths wind through the hotel's gardens.